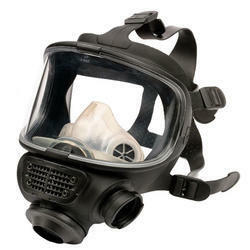 Leading Wholesale Distributor of 3m 6200 half face mask respirator, 3m scott safety vision rff4000 face mask, scott safety profile 2 half mask, 3m 6800 full face respirator mask and 3m scott safety promask from New Delhi. The optically perfect vision, a speech diaphragm, LSR silicone face seal, a unique semi-spherical visor design offering unrestricted vision, a 5-point adjustable rubber harness, a standard 40mm thread front filter fitting with quick release moulded buckles, and a TPE inner mask with 2 inhalation valves. To maximize the sealing area on an average, on the widest population of faces, the shape of the face seal is such that it minimizes the pressure points. 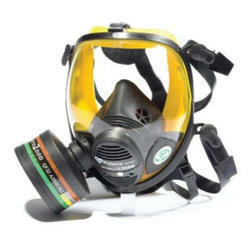 Availablein 3 sizes, the M/L, M and S, the face piece is moulded in polycarbonate and the visor is hard coated to offer scratch resistance and excellent solvent. The Scott Vision RFF4000 is a full face mask which minimizes wearer fatigue, low breathing resistance, uninhibited speech transmission, and is a lightweight construction with an optional poly-net head harness is also available. The fitting solution to your respiratory needs, Scott Safety's Profile2 is an advanced twin filter half mask that combines comfort, protection and low through life costs with exceptionally low breathing resistance. Perfectly balanced, user friendly and modern in design, Profile2 accepts the comprehensive range of highly efficient Scott Safety Pro2 gas, particulate and combined filters to provide respiratory protection in a wide variety of applications. 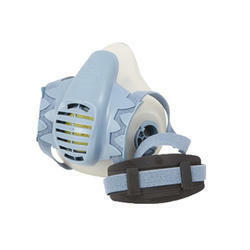 This full face piece reusable respirator offers light weight comfort and ease of use. 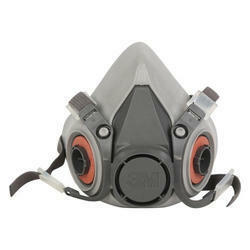 Combine with appropriate 3M™ Particulate Filters or Cartridges, to help provide respiratory protection against particulates and/or a variety of gases and vapors. Already proven in several industrial applications, Promask utilises a T-profile faceseal design, which provides a highly efficient seal with minimal pressure on the face. Computer designed air path channels provide exceptionally low airflow resistance, reducing fatigue even for long periods of use.